← What Does Fossil Fuel Divestment Mean For Texas? Over the past week, heavy rains have caused flooding in the Permian Basin that’s stranded many and left one man dead. 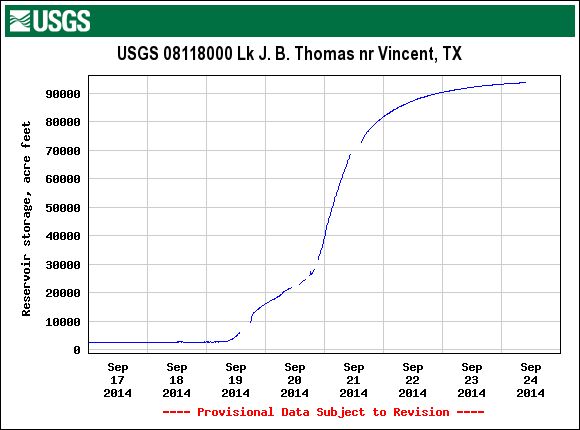 Still, for drought-stricken Lake J.B .Thomas, there was some good news. Large amounts of rain fell in its watershed, near Gail, Texas. Over the weekend, remnants of Hurricane Odille combined with a low pressure system to create a prolonged rain event in the Permian Basin. 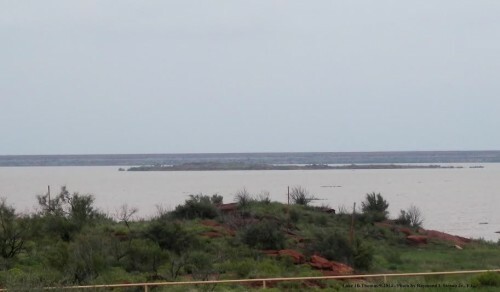 Heavy rains flooded much of the Basin, especially along the upper Colorado River in Borden County, near Gail. Water rushed across roads and refilled bone-dry Lake JB Thomas. Just last week, the Colorado River Municipal Water District (CRMWD) reported that its reservoirs – which include Lake JB Thomas, EV Spence, and OH Ivie – had combined water levels of only 20% capacity. Click here for an interactive map of reservoir levels across the state. Lake JB Thomas started gaining water on September 11th, and thanks to more than 14 inches of heavy rainfall, the Lake went from less than 1% full to almost 50% full. JB Thomas is one of the water sources that CRMWD uses to send water to its customers, including Midland and Odessa municipal water. 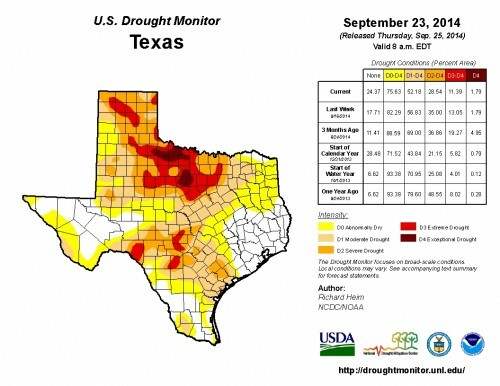 While happy for the new water inflows, Grant cautions that West Texas is still experiencing drought. 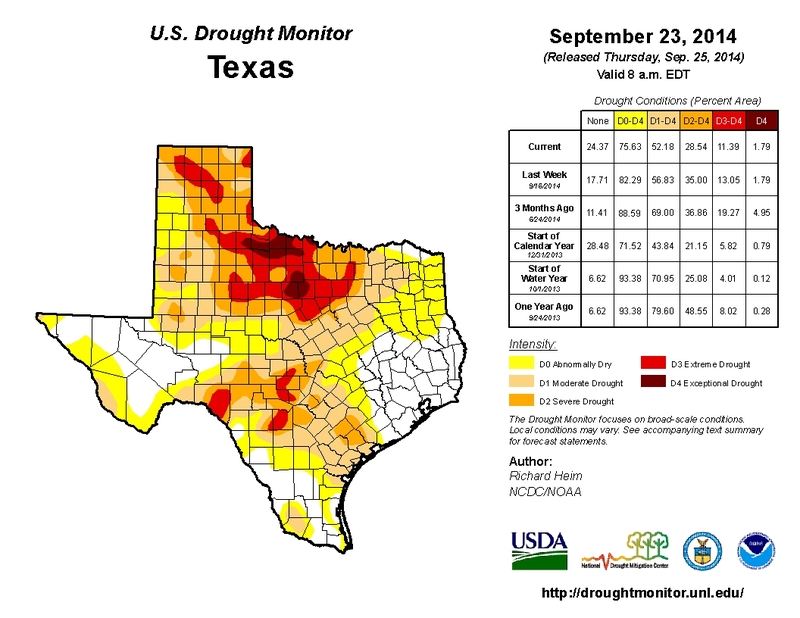 This entry was posted in KRTS News and tagged Drought, Lake JB Thomas, Permian Basin Reservoirs, Texas Reservoirs, Texas Water Sources, Water, West Texas Flooding. Bookmark the permalink.